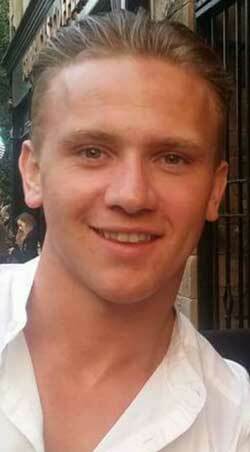 The search for the body of missing serviceman Corrie McKeague at a landfill site in Cambridgeshire has been abandoned after 20 weeks of close inspection costing over £1 million. Police have been searching the Milton landfill for the body of McKeague, 23, an RAF gunner from Dunfermline, after an investigation suggested that he was transported there by a collection vehicle, possibly after sleeping in a bin. McKeague was based at RAF Honington in Suffolk and was last seen on a night out in Bury St Edmunds in the early hours of 24 September. A search of the landfill site was ignited in early March, when it emerged that a refuse collection vehicle that had been inspected as part of the investigation had been misweighed. McKeague had last been seen at 3.25am in Brentgovel Street in the Suffolk town and the vehicle was reported as leaving the area at around 4.20am that morning. Signals from McKeague’s phone were found to coincide with the vehicle’s route, but the weight provided by the operator was given as 11 kilogrammes (1st 10lb). In March, however, detectives found that the weight data had been incorrectly given and that the Biffa truck was in fact carrying more than 100 kilogrammes (15st 10lb), enough to include the 90-kilogramme McKeague. The police investigation has since discovered that McKeague had been known to sleep in bins following nights out – a dangerous action that has been the subject of several national campaigns. Officers were confident of finding McKeague’s body at the landfill, but after 20 weeks of a targeted search in an area of the landfill containing waste from the time of his disappearance, Suffolk Constabulary says that ‘no trace of Corrie has been found’. Suffolk Constabulary now says it will look through some incinerated waste to find some trace of the 23-year-old. Despite the police calling off the landfill search, McKeague's parents have not given up on his body being found on the site, with his mother Nicola Urquhart suggesting to Sky News that she may ask for an injunction to stop police filling in the 48-hectare landfill cell and a petition calling for the search to continue being signed by almost 25,000 people. Police have been searching the area where waste was deposited between Monday 19 September – when the new cell 22 was opened for waste deposits – and Monday 3 October, and have searched through more than 6,500 tonnes of waste. Detective Superintendent Katie Elliott said: “This has been an unprecedented search, in the scale and amount of waste that has been examined. We had compelling information that directed us to this area however we haven’t found Corrie and this is bitterly disappointing. “Officers have been finding items such as newspapers and other material that have September 2016 dates on them. This is the time that Corrie went missing. Some items have been clearly identifiable as coming from Bury St Edmunds and this has confirmed that we have been searching in the right place, however none of these items have had any link to Corrie. 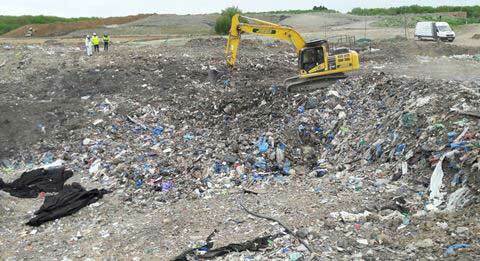 “This has been one of the biggest and most complex searches of a landfill site in the country. This search process has been reviewed as it has been carried out and what we have learned and the expertise gathered during the search is now being called upon by other constabularies. Although the circumstances have not been confirmed, police have said that a witness had seen the airman asleep in rubbish, while others have said that he had slept in bins on the way home from nights out before. Det Supt Elliot continued: “The investigation behind the scenes hasn’t stood still while the search has been carried out, but all the information we have still points to the fact that Corrie was transported from the ‘horseshoe’ area in the bin lorry. “There are no further sightings of him on CCTV to suggest he left the area, and we have explored the other possibilities as to how he left – such as being taken from the area by someone – and there is no evidence to support that this is the case. Last year Biffa reported that an average of three people a week are found sleeping in bins collected by the company. Padded, warm and sheltered bins can often seem a good place to sleep. A BBC investigation that carried the Biffa report noted that by staying in bins rough sleepers can stay out of view, avoiding being moved on by police and avoiding abuse from passers by. However, those sleeping in bins are hard to detect and can put themselves at risk of serious injury or death both from falls into collection vehicles and the compressing machinery within them. With the recent rise in homelessness and people having to find places to sleep (government figures suggest that homelessness increased by 30 per cent between 2014/15 and 2015/16), Biffa reported that the number of people found sleeping in the bins had increased exponentially since 2013/14, when 31 rough sleepers were found by the company. A year later this number had risen to 93, while in 2015/16 it reached 175. But it is not just rough sleepers that are at risk of sleeping in bins. In 2012, the body of Canadian student Garret Elsey was found at New Earth Solutions’ Avonmouth plant after he had fallen asleep in a bin after a night out on his first night in Bristol. Biffa drivers are instructed to check large commercial bins before they are collected and collection vehicles have now been fitted with cameras to see what is being tipped inside, but with large amounts of waste being tipped it is often hard to determine what material is being deposited. The number of homeless people found sleeping rough in bins, risking injury or death from compactor lorries, is growing. A joint initiative to tackle the potentially deadly issue of people using bins for shelter this winter has been announced by a number of UK waste management companies. A man whose body was found at Biffa’s waste depot in Avonmouth last year had ‘slept in the bin’, an inquest has determined.